This week for Burger Bunday, I made Bobby's Garlic Butter Burger. 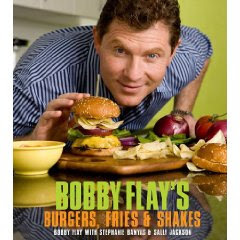 It's one burger recipe in his book that you can probably make today since you probably have the ingredients on hand. 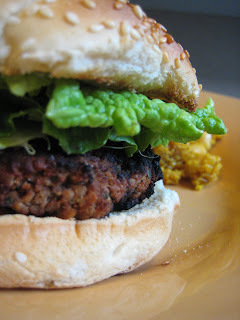 I prepared these burgers as sliders and they are just as good in mini size. As for additional toppings, it really isn't necessary. 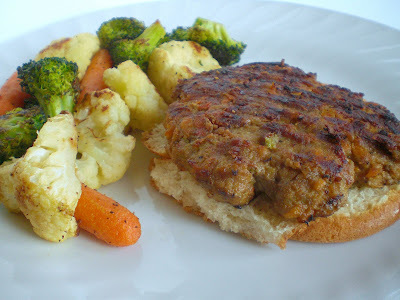 The garlic butter is more than enough flavor for this burger... But if you prefer, a little lettuce, tomato and onion (even cheese) wouldn't hurt it a bit! It doesn't get much easier or much better than this. Basting both the burger as you cook them and the buns before you toast them with a savory garlicky butter adds a whole new dimension of flavor to a classic burger. Tray adding a few tablespoons of fresh herbs or a few dashes of Worcestershire sauce to the butter for even more flavor. Divide the meat into 4 equal portions (or 8 equal portions if making sliders). Form each portion loosely into a 3/4 in thick patty and make a deep depression in the center with your thumb. Season both sides of each burger with salt and pepper. Brush the buns (or dinner rolls) with about 4 tablespoons of butter, using roughly 1/2 tablespoon for each half. Cook the burgers, using the oil, and brushing them every 30 seconds with the remaining garlic butter. Meanwhile, toast the buns if desired. Place the burgers on the bun bottoms, cover with the bun tops, and serve immediately. Here are some fellow bloggers who had a Burger Bunday this week! DH and I love garlic so this is right up our alley! I'll have to try this this week. I've had some really bad luck with burgers falling apart...but it doesn't like you used a binder and they still stayed together and you didn't have any problems? Sounds good! I'm sure that garlic butter could be used for other recipes too. Yum! I think garlic butter makes everything taste better. 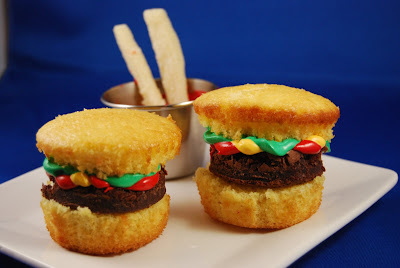 I bet these were great as sliders.